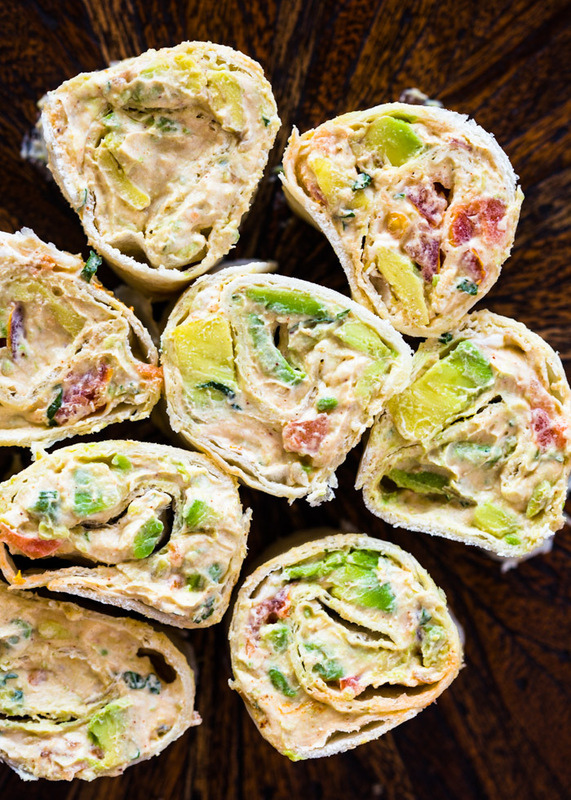 5 minute avocado, tomato, and cream cheese roll-ups make a tasty and fun snack or appetizer! As you may all already know, I’m a little obsessed with avocados. They’re incredibly nutritious so I add them to most of my salads, wraps, eggs, and toast. 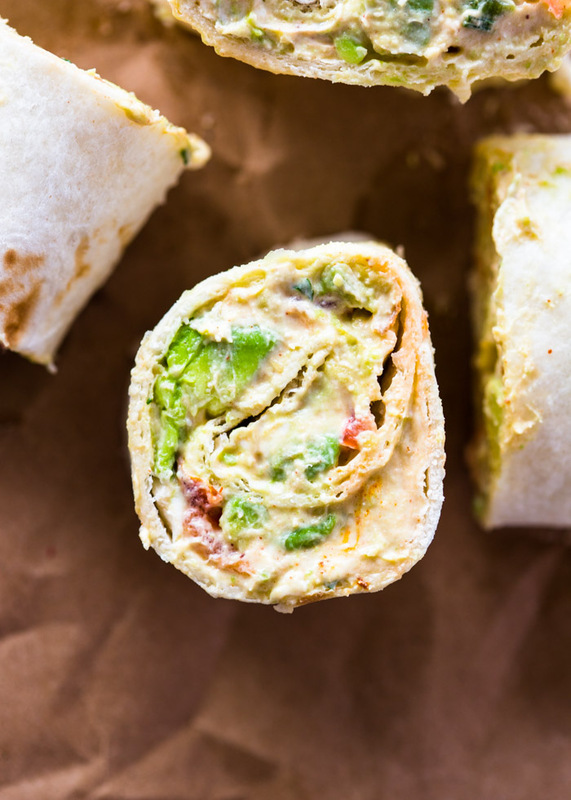 If you’re a fan of this expensive yet tasty super fruit, then you’re going to love these creamy avocado roll-ups. 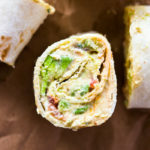 They’re made by simply combining cream cheese (or yogurt or sour-cream), avocado, tomato, cilantro, lime, garlic powder, paprika and salt & pepper to taste. Roll them up in a soft flour tortilla and cut into small rolls. They taste AMAZING and are loaded with a creamy zesty flavor and make a great snack, side or appetizer. 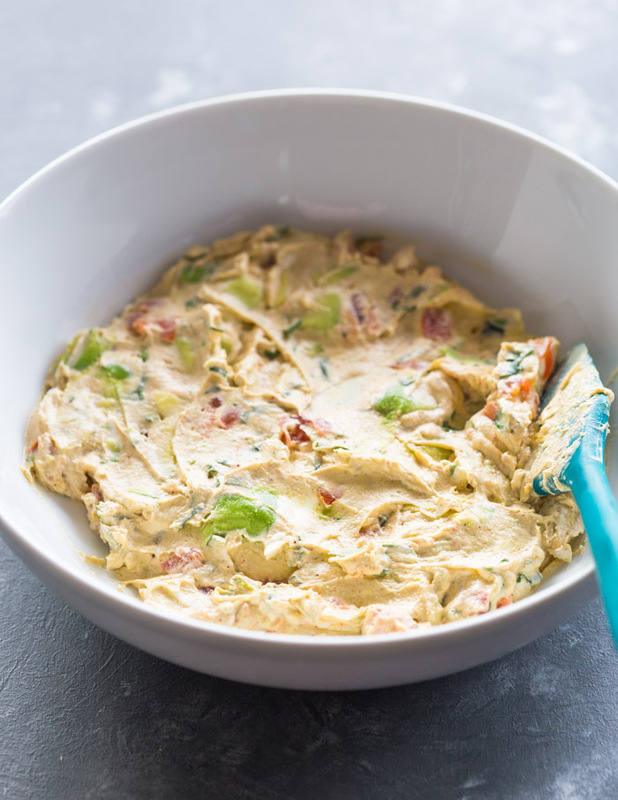 In a medium mixing bowl, combine the avocado and cream cheese. Stir in the tomatoes, cilantro, lime juice, paprika and salt & pepper. Spread half of the avocado mixture onto each tortilla, leaving a small border around the edges. Roll the tortillas up tightly, then cut off the edges and slice into 1” rolls. Serve immediately or cover with plastic wrap and refrigerate until ready to serve. It’s quite easier to make, so you could prepare it instantly, if you think avocado could become brown. Or else wrap it tightly. Good one I have tried it. These look delicious! I can’t wait to try them out, thanks so much for the recipe! If made in advance (wrapped, refrigerated, and eaten the next day) – does the avocado brown? The avocado should be fine as long as you wrap tightly with plastic wrap.